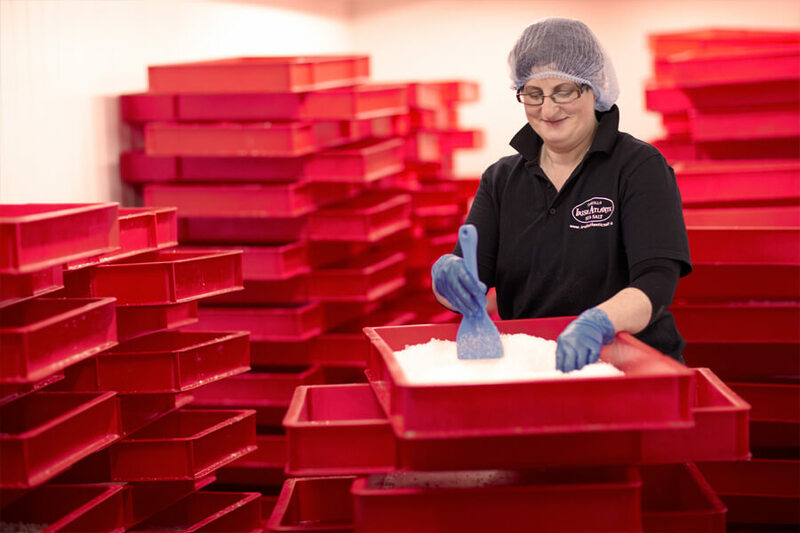 Our Just a Pinch of Irish Atlantic Sea Salt Potato Crisps are hand cooked in small batches using potatoes grown on our farm, the finest quality sunflower oil and seasoned with ingredients sourced from local Irish suppliers. 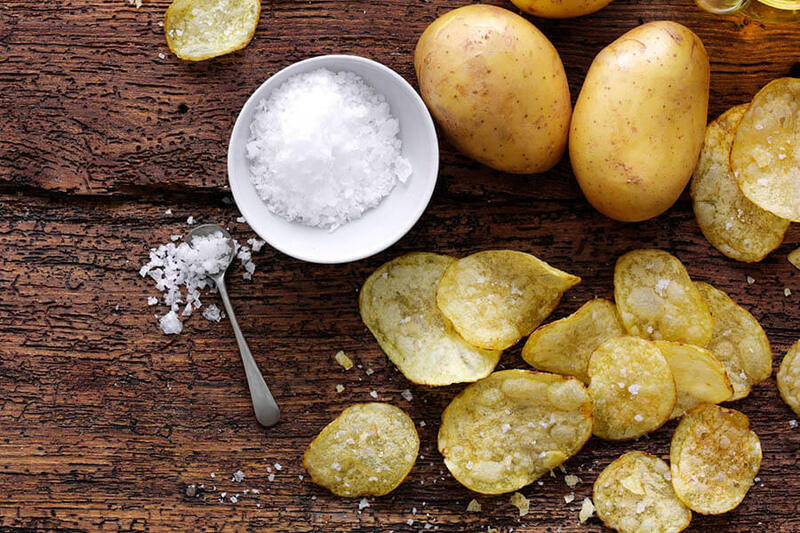 Our crisps are lightly seasoned with a sprinkling of O’Neill’s Irish Atlantic Sea Salt.  O’Neill’s Irish Atlantic Sea Salt is handcrafted on the Beara Peninsula in West Cork, Ireland. 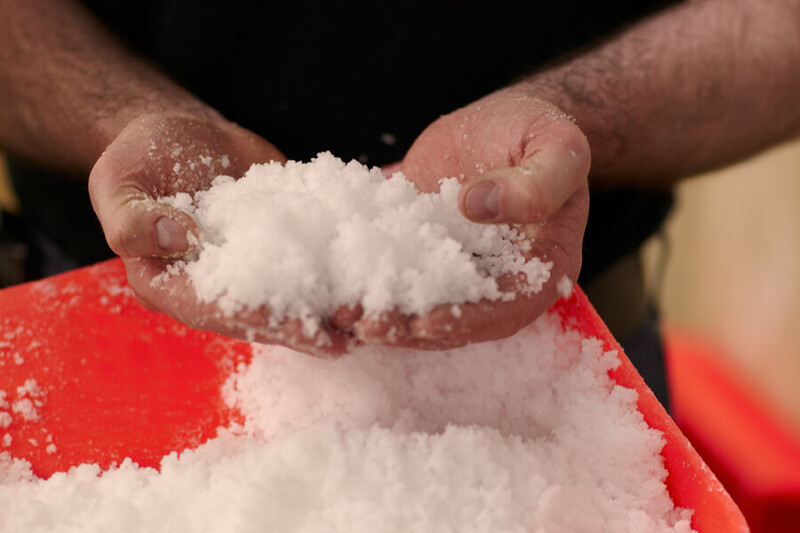 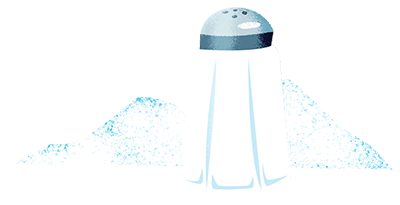 Pristine Oceanic waters produce a pure sea salt flake full of natural flavour. 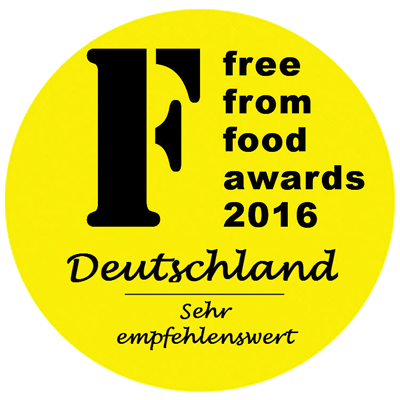 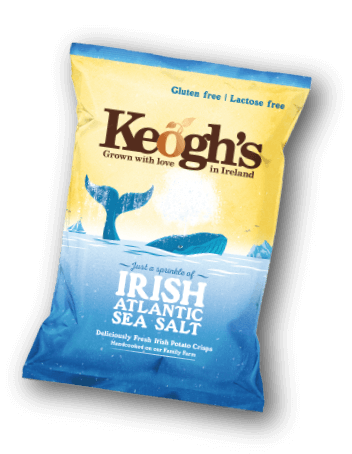 Keogh's Potatoes (60%), Sunflower Oil, Irish Atlantic Sea Salt.